Required to be equipped with seat belts under federal motor vehicle safety standards contained in the Code of Federal Regulations. "Motor vehicle" does not include a Class L (historic) vehicle. "Outboard front seat" means a front seat position that is adjacent to a door of a motor vehicle. "Seat belt" means a restraining device described under § 22-412 of this subtitle. "Seat belt" includes a combination seat belt-shoulder harness. (b) Seat belts required. - A person may not operate a motor vehicle unless the person and each occupant under 16 years old are restrained by a seat belt or a child safety seat as provided in § 22-412.2 of this subtitle. The provisions of this subsection apply to a person who is at least 16 years old. Unless a person is restrained by a seat belt, the person may not be a passenger in an outboard front seat of a motor vehicle. A person who violates the provisions of this subsection shall be subject to the penalties under Title 27 of this article. (d) Physically disabled persons. -- If a physician licensed to practice medicine in this State determines and certifies in writing that use of a seat belt by a person would prevent appropriate restraint due to a person's physical disability or other medical reason, the provisions of this section do not apply to the person. The reason that restraint by a seat belt is inappropriate. (f) U.S. Postal Service and contract carriers. -- The provisions of this section do not apply to U.S. Postal Service and contract carriers while delivering mail to local box routes. (g) Violations not moving violation. -- A violation of this section is not considered a moving violation for purposes of § 16-402 of this article. (h) Failure to use seat belt. Diminish recovery for damages arising out of the ownership, maintenance, or operation of a motor vehicle. Subject to the provisions of paragraph (3) of this subsection, a party, witness, or counsel may not make reference to a seat belt during a trial of a civil action that involves property damage, personal injury, or death if the damage, injury, or death is not related to the design, manufacture, installation, supplying, or repair of a seat belt. Nothing contained in this subsection may be construed to prohibit the right of a person to institute a civil action for damages against a dealer, manufacturer, distributor, factory branch, or other appropriate entity arising out of an incident that involves a defectively installed or defectively operating seat belt. In a civil action in which 2 or more parties are named as joint tort-feasors, interpleaded as defendants, or impleaded as defendants, and 1 of the joint tort-feasors or defendants is not involved in the design, manufacture, installation, supplying, or repair of a seat belt, a court shall order separate trials to accomplish the ends of justice on a motion of any party. (i) Prevention and education programs. -- The Administration and the Department of State Police shall establish prevention and education programs to encourage compliance with the provisions of this section. (j) Annual evaluation report on State's highway safety plan. -- The Administration shall include information on this State's experience with the provisions of this section in the annual evaluation report on the State's highway safety plan that this State submits to the National Highway Traffic Safety Administration and the Federal Highway Administration under 23 U.S.C. § 402. How Does Not Wearing a Seat Belt Impact My Injury Claim? For the last 13 years, Maryland has had this seatbelt law that requires adult front seat occupants to wear a seatbelt. Obviously, there are also laws requiring children to wear safety belt. Now, police officers may ticket drivers and/or adult front seat passengers for not wearing a seat belt as a primary offense as opposed to ticking them only when another law is suspected of being broken. 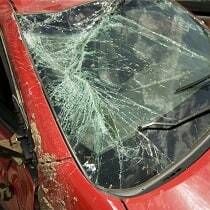 Failing to Wear a Seat Belt: Does it have an impact on your Maryland accident claim? No.